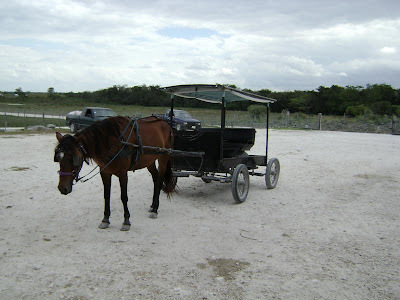 As Belizeans we have all had direct or indirect contact with one of the different Mennonite communities of Belize. They are known to hold fast to their culture and strict beliefs while they assist in the industries of commerce, carpentry, engineering and agriculture. Due to persecution, the Mennonites migrated from Holland to Germany to Prussia and eventually to North America. 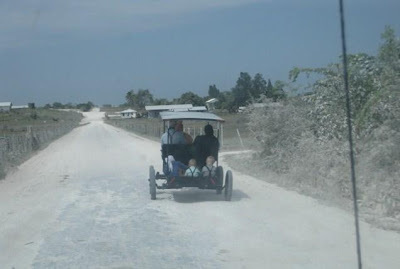 About 3,000 Mennonites finally relocated to Belize in 1959 along the Rio Hondo (Orange Walk District), in search of a life free of religious persecution and the pressures of modern society. 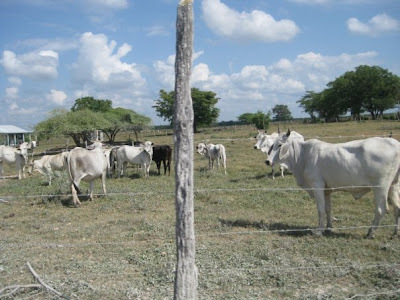 They signed a special agreement with the Belize Government which exempt them from military service and certain forms of taxation while guaranteeing them complete freedom to practice their own religion and farm within their closed communities. They also freely practice their own form of local government and run their own schools and businesses. 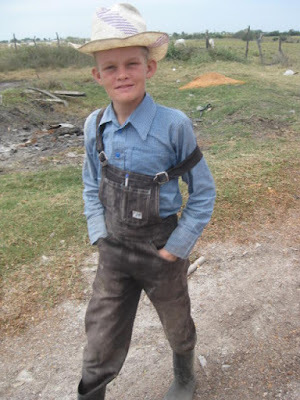 Their unique dialect a mixture of Dutch and German has persisted the 400 years since this move and is still spoken in the Mennonite communities of Belize. 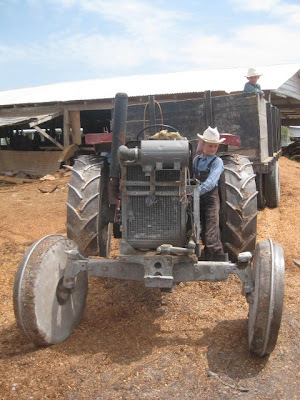 While stricter Mennonites still hold true to the belief that modern machinery contaminates their faith, more progressive divisions have incorporated engines and electricity into their lives. 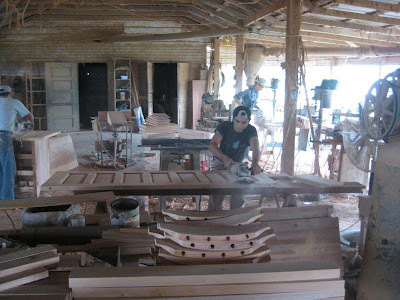 I had the opportunity recently to visit Shipyard one of the traditional Mennonite communities and also one of the oldest in Belize. Shipyard is reached via the Guinea Grass road that turns off the Northern Highway just south of Orange Walk Town; approximately one hour’s drive. 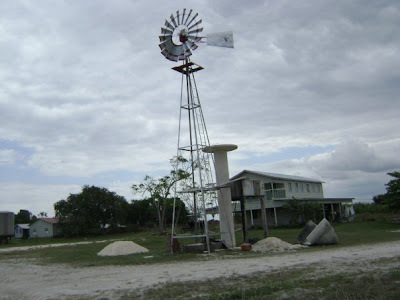 Shipyard was founded in 1958, the first year of Mennonite migration to Belize. Shipyard covers 17,083 acres, comprising twenty-six local districts, which are called camps. In 2004 the internal Shipyard census mentions 2664 inhabitants. 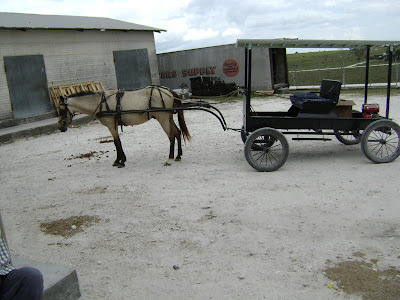 They refrain from using modern farm equipment and drive horse-drawn buggies. 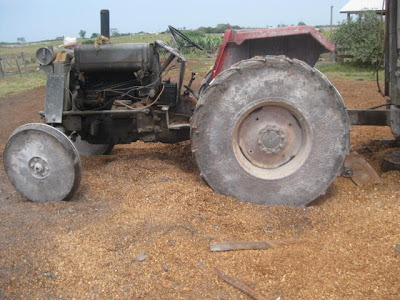 On the fields they use tractors with steel wheels, because rubber tires are forbidden. They also have a strict clothing code, which makes them very visible outside their settlement. . 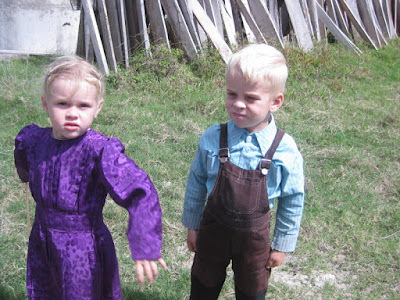 Most still resemble blond German farmers; the men in dark trousers, suspenders, and straw hats and the women in conservative long plaid dresses and bonnets. Shipyard is an agriculturally based settlement; the land is rather flat and cultivated land alternate with pasture land. 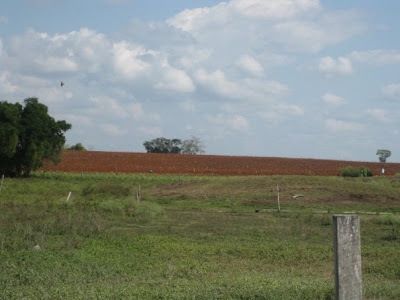 The primary crops are sorghum, corn and rice. They also produce tomatoes, melons, cucumbers, sweet peppers and other vegetables. 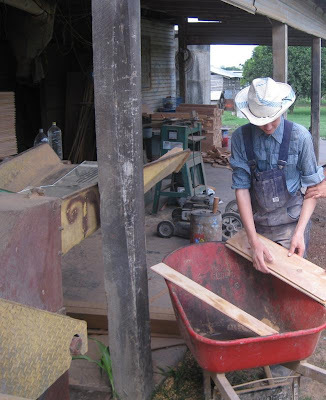 Livestock is also a major source of income, there are also several sawmills that provide lumber for houses and furniture. Carpenters and blacksmiths, several retail stores and two dentists are also part of the settlement. This is a great story. 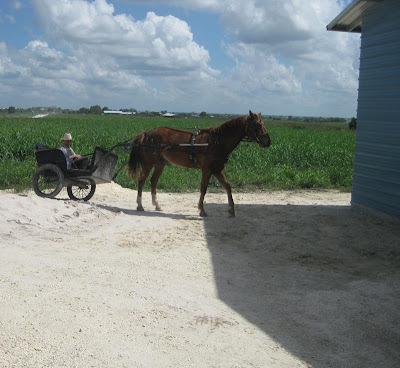 Thanks for giving us the history and the essence of the Mennonites in our country. I love the pictures. I enjoyed this article, very informative.